This month is National and International Pet First Aid Awareness Month! This month is National and International Pet First Aid Awareness Month! Often times, ingestion of a toxin is one of the most common causes of a pet owner needing to access a first aid kit for their pet. For example, ingestion of certain toxins causes the need to induce vomiting, however, it is only beneficial if done within 30 minutes of ingesting the toxin. Are you prepared? Be sure your pet poison first aid kit includes the following items! Tomorrow is Hairball Awareness Day! Tomorrow is Hairball Awareness Day! Every cat owner, at least once (usually in the middle of the night), has stepped into a pile of something that looks and feels like anything but hair and wondered, “Does she do this on purpose? !” No, she doesn’t. In fact, hairballs are the number one health condition reported by 35% of cat-owning households. Is your household one of them? There are great diets available to prevent this condition, and now there is a new treat designed specifically to treat this condition. Stop in today to pick up a bag for your cat to try! As you know, we are very passionate about educating pet owners on all aspects of health and safety for their furry family members. However, today we wanted to share with you about a committee Dr. Keller is involved with that focuses on the safety of a different family member. The Smile Big Foundation’s focus is on keeping children safe with an emphasis on school bus safety. Check out this great article on the front page of Sunday’s Waterloo Courier illustrating the recent approval of bus sensors in Janesville, and Bremer County’s upcoming fourth grade safety day next week! Pop quiz! 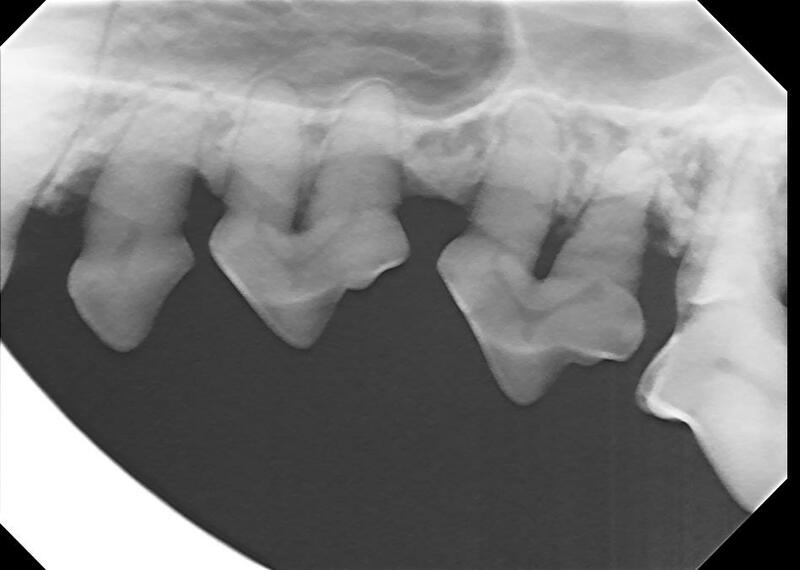 When you look in your pet’s mouth, what percentage of their actual oral health are you able to assess without radiographs (first question)? Here are films from a 8 year Schnauzer that did not have a single loose tooth. 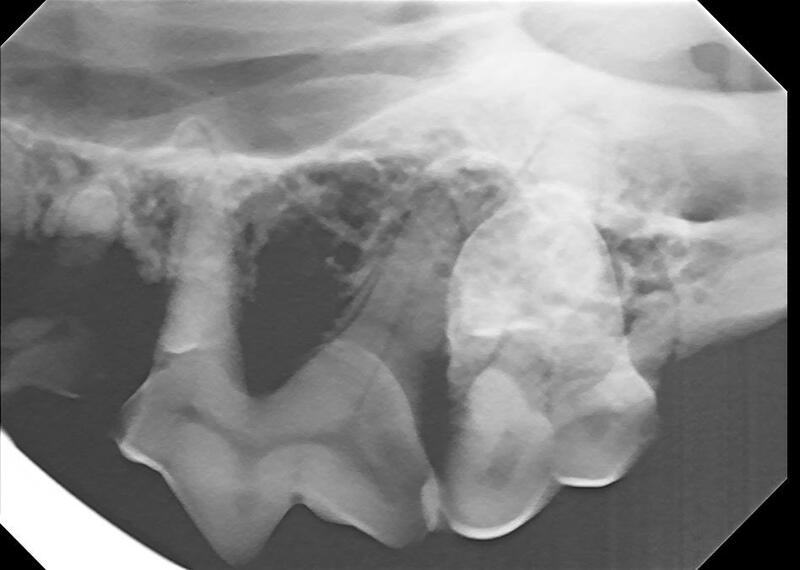 However, there is a huge abnormality on his dental radiographs that tell us these teeth are unhealthy and uncomfortable for the pet and need to be extracted. What is this abnormality (second question)? 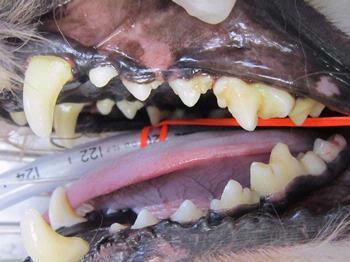 A free bag a dental chews goes to the first person with the correct answers! 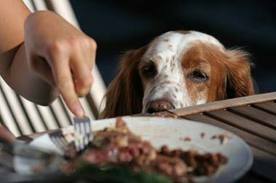 Tips to keep your pet from begging at the dinner table! You knew this would happen, you sit down to eat a meal and your dog looks at you with those sad puppy eyes like he/she has never had a treat before and waits patiently until you can no longer say no. Sound familiar?! Here are some tips to keep your pet from begging at the dinner table! The third week in April is Animal Cruelty/Human Violence Awareness Week! The third week in April is Animal Cruelty/Human Violence Awareness Week. A number of studies have drawn links between the abuse of animals and violence against people. Experts agree that early prevention and treatment of animal cruelty is the key to stopping the cycle of violence. Awareness is key, for more information on this topic, check out this great link! April is Prevent Lyme Disease in Dogs month! Dr. Keller is very passionate about educating pet owners about preventing Lyme disease. April is Prevent Lyme Disease in Dogs month! Just this Saturday, Dr. Keller was hiking with Gracie at the boy scout camp in Janesville and found several ticks crawling on Gracie after their walk! Have you started your flea/tick prevention yet this season? And do you truly understand the everyday threat of contracting Lyme disease that your pet faces?! If you answered no to either of these questions, call or stop in and we can help you figure out which preventative would be best for your pet based on their individual risk! Additionally, this article is a great resource about Lyme disease and dogs! 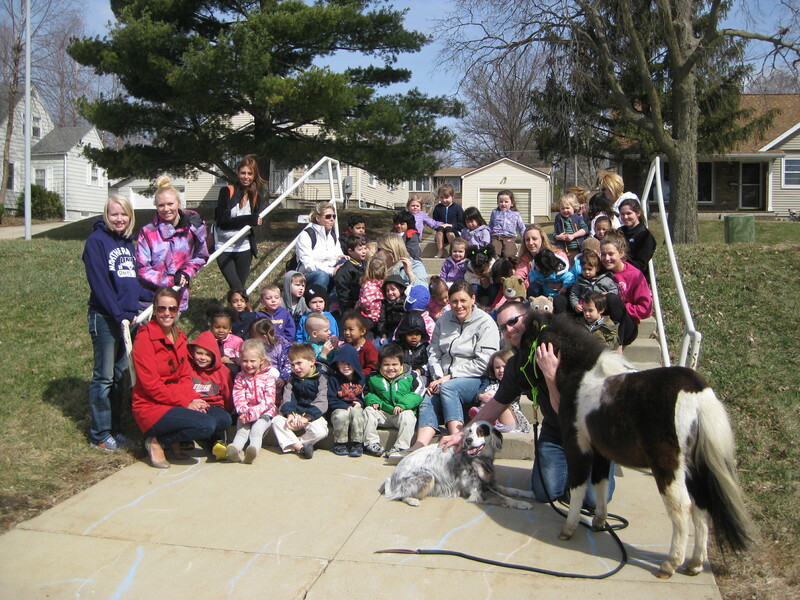 A big thank you to the UNI Child Development Center for giving us the opportunity to educate their students this past week! The classes are learning about the differences between farm animals and companion animals, and how to care for different species of animals. Gracie and Watson loved all of the kids and we had a great time! Tips on how to increase your cats water intake! Keeping your cat healthy life long depends critically on appropriate water intake. 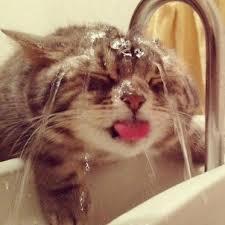 Water is essential for all pets health, but especially so for cats!! This slide show gives you tips on how to increase your cats water intake! 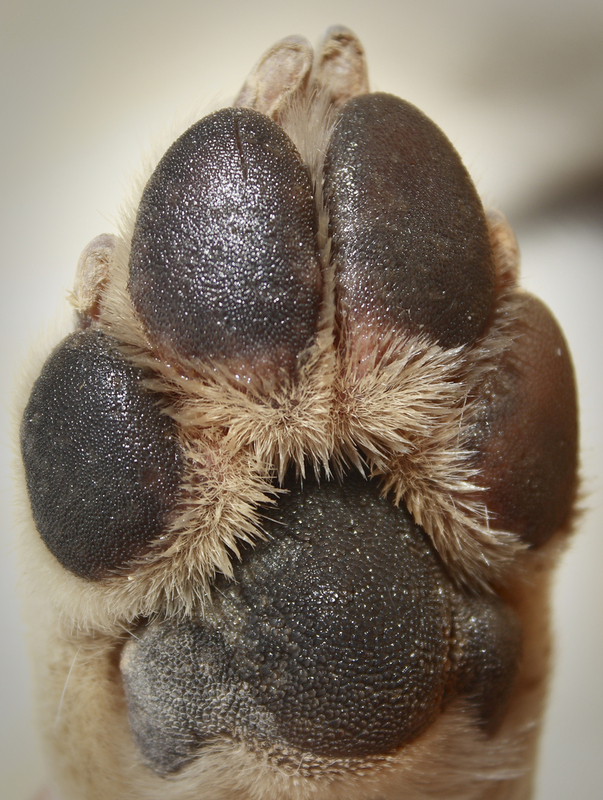 Tips on caring for your pet’s paws in any season! As the temperatures are changing, here are some tips on caring for your pet’s paws in any season! National Lost Pet Prevention Month! Spring Fruits and Your Dog!